[July 29, 2014] In the previous two posts on the obituary of Section 13 censorship, I highlighted the background of Section 13 and corruption of the Canadian “Human Rights” Commission and the real modus operandi of the CHRC, which was “simple forced deletion of the message”. Today I am going to explore the Mark Steyn / Macleans Magazine “hate speech” cases and some interesting facts that came out (like disgraced former police officers, Nazi Fetishists and Million dollar legal fees). June 29, 2006: The CHRC’s head policy advisor meets with Muslims in Toronto urging them to lay hate complaints with regards to “anti-Islamic comments in the media”. As mentioned in previous articles, back in 2006, the CHRC was desperate for complaints. They had invested all this money; they had a special “anti-hate” team, special “anti-hate” committee, special lawyers, a special Compliance Manual for “hate cases”, policy advisors, etc; but no one was complaining to them. The complaint against Mark Steyn and Macleans Magazine could very well be as a result of the CHRC drumming up business to keep the “hate” gravy train rolling and employing dozens of highly paid unionized staff [including “disgraced former police officers”, Dean Steacy 007: Licensed to CHILL & assorted Nazi fetishists]. Several months after this meeting; the Canadian Islamic Congress filed a Section 13 “hate speech” complaint against Rogers Media Inc. (Macleans Magazine) at the Canadian “Human Rights” Commission. At the same time, the CIC filed two nearly identical complaints with the Ontario “Human Rights” Commission and the British Columbia “Human Rights” Tribunal. The Section 13 “hate speech” complaint against Rogers Media Inc (Macleans / Mark Steyn) was over a reproduction of Mark Steyn’s book “America Alone.” The Macleans article was entitled “Why the future belongs to Islam” and ran as a cover story in the October 20, 2006 issue. After the Steyn article appeared in Macleans, there was a fair amount of controversy in the pages of the magazine over Steyn’s propositions about demographics, the threat of Islam, etc. On August 13, 2007, the Canadian “Human Rights” Commission accepted a Section 13 complaint against Rogers Media Inc filed by the Canadian Islamic Congress. The complained of grounds was “religion”, specifically hatred towards Islam and Muslims. The complaint read: "The complainant alleges that the material in question is flagrantly anti-Muslim and in adopting a fear mongering tone, the article focuses on the influx of Muslim immigrants into Europe and North America". and that "...Muslims are part of a global conspiracy to take over Western societies and impose oppressive Islamic law on them, and that Muslims in the West need to be viewed through this lens as the enemy." Keep in mind that the primary intent of Section 13 was to quietly and behind closed doors; and censor individuals which “would not be attended by great publicity”. While this was true with most Section 13 cases, it certainly was not true with Mark Steyn and Macleans Magazine. The preverbal ‘hate speech earthquake’ hit the media, once it was revealed that one of Canada’s most respected magazines and the “one-man global content provider” Mark Steyn were under investigation for hate speech. Editorials against censorship went viral from coast to coast in Canada and spread across the globe via the Internet. Unlike some others, Mark Steyn was not a coward and decided to fight back against this appalling censorship. Steyn took to the airwaves and print media and unleashed his mighty wit in a broadside against censorship in Canada and in particular the Canadian “Human Rights” Commission. The huge media backlash and all the damaging information coming out about the CHRC also translated into political action. The first political action against the CHRC was a motion by Liberal MP Keith Martin which called on Parliament to state: “That, in the opinion of the House, subsection 13(1) of the Canadian Human Rights Act should be deleted from the Act.” The bill was first M-446, then resurrected after the 2008 Federal election as M-153. The next definitive move was a private members bill – C-304. The bill repealed Section 13 and 54 of the Canadian Human Rights Act and scrapped the censorship provision entirely. The truth behind the dismissal of the Macleans complaint is that the Investigator of the case wasn’t so sure it should just be dismissed. The Investigator highlighted that what Mark Steyn wrote could expose Muslims to ‘hatred and contempt’. The CHRC’s “political level” is staffed by political appointees like the Jet-setting world traveler - [former] Chief Commissioner Jennifer Lynch and Conservative appointed Acting Chief Commissioner David Langtry [see: AirMiles Langtry]. They have the role of reviewing the complaint and approving it to be sent onto a hearing before the Canadian Human Rights Tribunal. Unlike the investigator in the Macleans case, the political Kangaroos smelled the political wind, and threw out the case like a hot potato. Once the Section 13 complaint was filed against Macleans and Rogers Media Inc, all talk about those underlying issues which Steyn discussed were cleansed from the pages of Macleans. 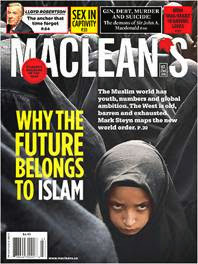 A review of Macleans Magazine during the complaint period [2007-2008] shows that the issue of Islam taking over the Western world via demographics is no longer a valid topic. Macleans took the easy route and reported on ‘pressing issues’ like Harpers “Master Plan” and how your dog gets better healthcare than you do. There was a bit of religious reporting, such as questioning Jesus and his “identity crisis” but it seemed to be verboten to discuss Mohammed and his “identity crisis”. How many editors and newspapers will allow commentary on controversial issues if they are going to face being labeled as racist or Islamophobes? In a somewhat ironic twist, the Muslim complainants were actually proved correct in the end. 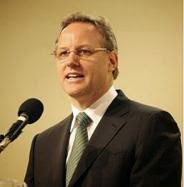 During their 2006 meeting with the CHRC’s Harvey Goldberg, the Muslims in attendance questioned if “the Commission [CHRC] would accept complaints dealing with anti-Muslim sentiments. [Goldberg] assured them that the Commission was fully committed to fulfilling its mandate under section 13.” Mark Steyn has stated on numerous occasions that, under the ridiculous language of Section 13 he was guilty of “hate speech”. In the end, the CHRC was shown to be hate hypocrites who only accepted certain complaints. Hate laws are political tools used to silence speech and criticism. The power of the state is used to crush the little man. Thankfully Maclean’s had a million dollars to fight back, but does the average Canadian? 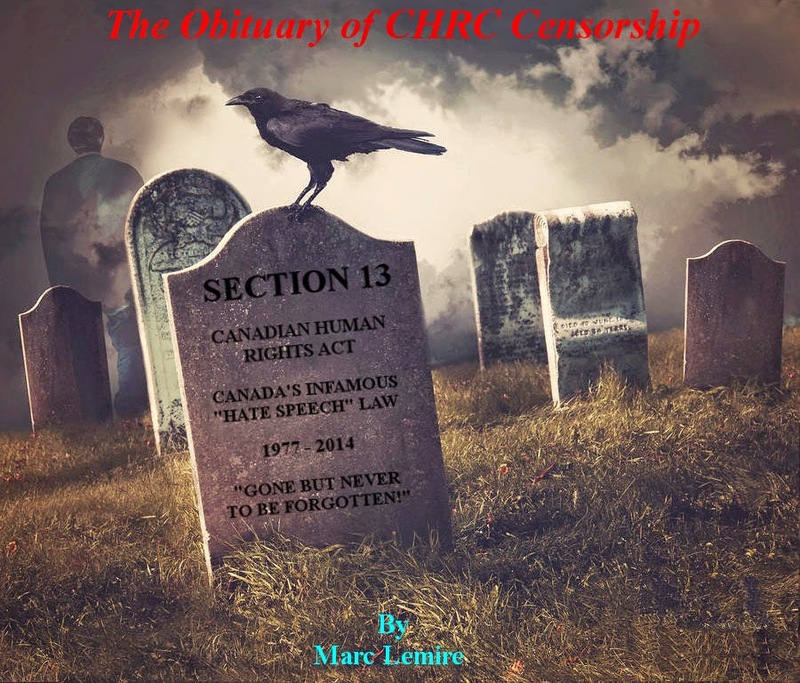 This is why Section 13 had to be repealed and tossed into the dustbin of Canadian history; next should be the criminal “hate speech” prohibition – Section 319 of the Criminal Code of Canada – another shameful piece of censorship legislation! In 2007, the Canadian Islamic Congress brought three suits against Maclean’s, Canada’s oldest news weekly, for running an excerpt from Mark’s bestselling book America Alone, plus other “flagrantly Islamophobic” columns by Steyn. A year later the CIC had lost all its cases and the flagrant Islamophobe had become a poster boy for a worldwide phenomenon - the increasing tension between Islam, on the one hand, and, on the other, western notions of free speech, liberty and pluralism. In this book, Mark republishes all the essays Mohamed Elmasry, the Canadian Islamic Congress and their enablers in Canada's disgusting "human rights" regime attempted to criminalize, along with new material responding to his accusers. He also takes a stand against the erosion of free speech in Canada, Britain and elsewhere, and the advance of a creeping totalitarian "multiculturalism"; and he considers the broader tensions between Islam and the west in a time of unprecedented demographic transformation. Roaming from America to Europe to Australia, Lights Out is a trenchant examination of the intersection of multicultural progressivism and a resurgent Islam - and of the implications for liberty in the years ahead. 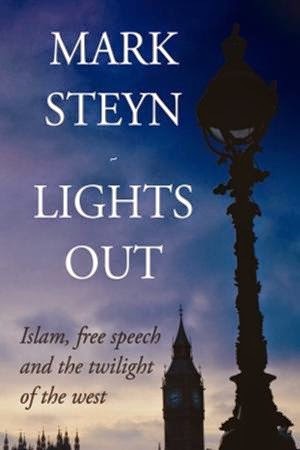 And don't forget, when you order from SteynOnline, the Flagrant Islamophobe Steyn will be happy to autograph it to you or your loved one in his own disgustingly flagrant manner. CHRC Investigators Report. March 25, 2008. CIC vs. Rogers (Macleans) Para 1.